Over the years I’ve noticed an interesting phenomenon that occurs when I finish reading a book or novel and don’t have another one waiting. I feel a little untethered. The same feeling of being untethered occurred when I completed the last round of edits on the novel. The story is done and the characters and imaginary world I have lived with and served for the past two and half years no longer presses on my brain, craves space in my day or directs my calendar. What to do? This is liminal space, that time and space in-between what was and what is yet to be. It is a potent time. A fertile time. A time to wait, to observe, to open to fresh inspiration. In the Christian tradition December is equated with Advent, the liturgical season just before Christmas. Advent is a season of waiting, a time of liminal space. In the Northern hemisphere it is appropriate that such a season correspond with the darkest days of the year. I often equate liminal space with darkness, waiting with incubation. The temptation here is to get to too busy, to crowd the waiting space with impatient activity. 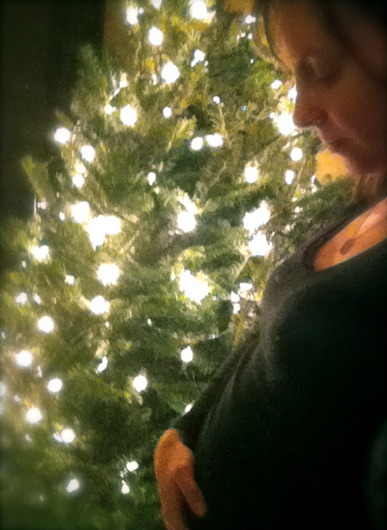 To take on too many projects or too many social engagements and miss the fertile season of expectant waiting. I’m speaking of my own tendencies and of those in our greater cultural community. Waiting is important. Like seeds germinating beneath the earth or a baby (ahem 🙂 growing in the womb a lot is going on while we wait. Whether we’re waiting for fresh inspiration, a new direction, answers to pressing questions, a change in circumstances or the arrival of a friend or loved one maintaining a sense of expectant spaciousness feeds and nourishes whatever is on its way. Waiting with expectant spaciousness is really nothing more than being present to what is, here and now, and not rushing what is to come. When we wait rather than rush, the arrival is so much sweeter, so much more full and nourishing because we didn’t miss the journey. As we move into the darkest days of the year, eagerly awaiting the return of the light, the celebration of Christmas, other holidays and the new year to come, I invite you to take some time, even just five minutes a day, to sit in the quiet waiting space within. Click HERE for tips on how to find space even when busy, to stay healthy during the Holiday season of expectant waiting. As for me, I will be spending the rest of this Advent season balancing the fullness of my schedule in teaching, writing and creating, with intentional periods of quiet spent watching the sky, breathing the chilly air, reading, enjoying a few of my favorite television programs, delighting in the kicks of the child growing in my belly, and patiently waiting for what it is to come.